This was never a true Manor House. 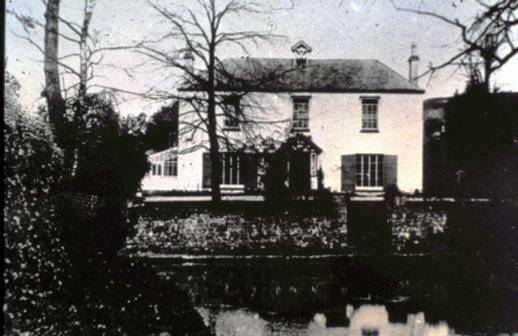 It had been the vicarage from its building in 1663 up to 1930; after a new vicarage had been built up Stow Hill, it was renamed The Manor, a whim of the then Lord of the Manor when he moved in to it from The Grange. In 1584, a return of all Church land was called for by the Bishop. The Tytherington terrier of glebe land includes 'One dwelling house, a barn and one orchard containing half an acre'. This is the first known reference to a vicarage. The vicar, John Lacey, probably spent much of his time farming and lived in an ordinary messuage (a dwelling house with outbuildings and land) like most of his flock. We do not know where his dwelling house was sited; it may have been at the entrance to the churchyard, where Church Cottage now stands. Following the Restoration of the Monarchy, William Elbridge was inducted as Vicar of Tytherington in 1662, and at once started to build a new vicarage. 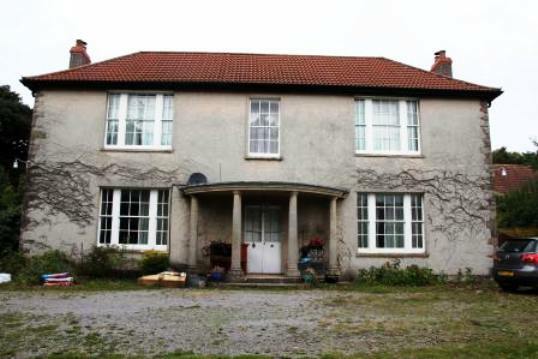 He made a note in the Church Register as follows: ' Ano Dni 1663 The vicarage - house at Tedrington was built from the ground by Will Elbridge Vicar. It cost building 133:00:00.' For another 250 years, the vicarage was on this site. In 1787, Rev J Hardwicke wrote in the Church Register of Burials: 'The Barn, belonging to the Vicarage, was rebuilt June 1787; and also the Stable, Garden Walls etc., at the expense of the Vicar'. The terrier of the glebe lands in 1807 gives a description of the vicarage: 'One house tiled situated in the Garden containing three bays of building, having a Parlour, Hall, Kitchen, two Pantrys, three Bedchambers, not very lofty, two closets, and a brewhouse at the North End, beyond the kitchen;-One Garden; One Barn, and a Stable contiguous covered with Pantile, standing in the back court, which, with a Privy in the Garden, were rebuilt by the present Vicar, about the year 1787.' But maintenance may have been neglected, for only three years later, the same Vicar was pleading with the Bishop for a licence to be absent for two years because of 'the insufficiency of the house of residence...'. One house partly slated and partly tiled situate in the garden containing a dining room, drawing room, hall, study, kitchen, Brewhouse, two pantrys, dairy, seven bedchambers and one dressing room. A stable, coach house, greenhouse, cowhouse, 2 pig-sties and calls house. The whole of which was built by the present Vicar excepting the kitchen, one pantry, part of the study and two bedrooms in the years 1818 and 1819.' The Baptism Register contains a confirmatory note: (the Rev. 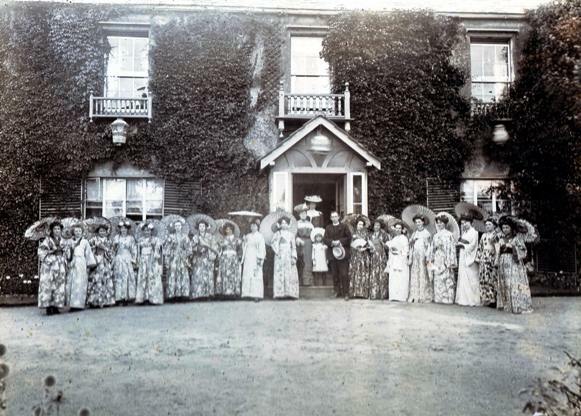 Mr Green) '.... who rebuilt the front of and enlarged the Vicarage house.' Mr Elbridge's vicarage of 1663 would have been similar in size - and social status - to several other contemporary houses built by prosperous yeoman farmers in the village. such as Bishop's Farmhouse, or Pendick's. But Mr Green's vicarage of 1819, with its 'drawing room', 'dressing room', and seven bedchambers, is larger and less provincial than any other building in the parish, even than the neighbouring house of the Lord of the Manor. By 1830 Mr Green had moved on, and a certain somnolence seems to have settled on the Established Church. Nothing of note was done to church or vicarage until after the death of the vicar, in 1881. The new vicar (Rev. G H Jackson) and the young 'Squire' (Hardwicke Lloyd Hardwicke) both came to the parish at the same time, and must have found many aspects of village life in need of revitalising. In 1884, the Church was extensively restored, and for the next forty years successive vicars lived, and brought up families, in the vicarage. which doubtless would have been reasonably maintained. The post First War years saw the Church's glebe land being sold. In 1925, it was the turn of the vicarage and its garden; they were sold to Squire Hardwicke for £2,520, and a new vicarage was built at the top of Stow Hill (1928-30). 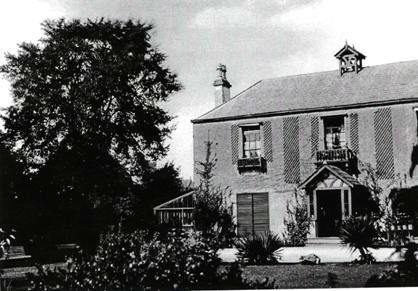 Hardwicke, now over 70, made considerable alterations to the old vicarage, renamed it 'The Manor', and moved across from The Grange. He died in 1935, and the house was sold. Subsequent occupants were Francis G Jackson, Ernest J Partridge, Francis E Hill, Roger D Marcus (who added the portico), and Andrew E Dawson.